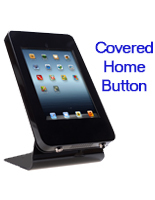 Black Powder Coated Aluminum Construction. 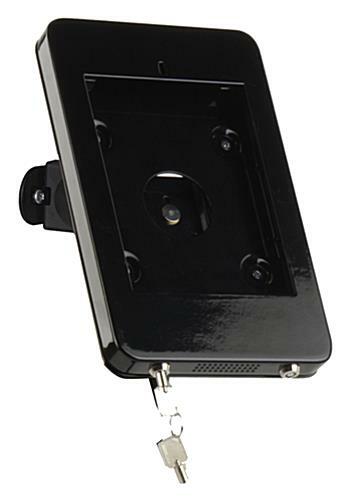 Wall Bracket Rotates 360˚ and Tilts. 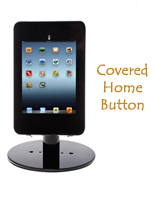 Access to Volume Controls and Front Facing Camera. 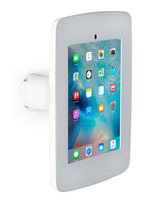 This iPad mini wall mount can be used to gather consumer data as well as promote products or company information. 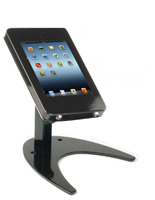 Current business success is increasingly dependent on the use of modern technology like these Apple® tablet docks. 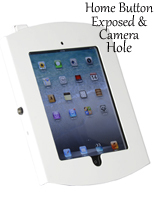 The black powder coated iPad mini wall mount secures to a wall and the locking enclosure rotates to any viewing angle for any orientation. 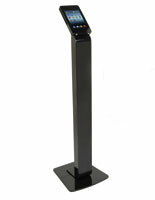 Oftentimes a tablet kiosk is used for showcasing information in locations such as conference rooms, hotel lobbies, salons, restaurants, department stores and more. 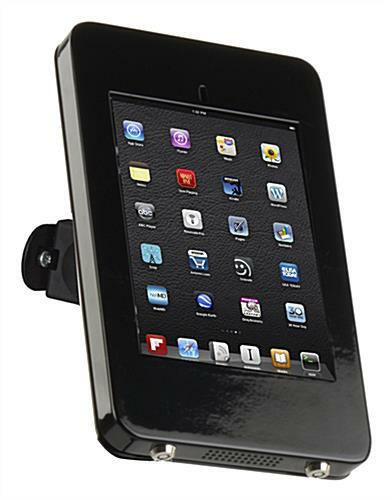 This iPad mini mount is inexpensive affording business owners to buy multiple display units for large commercial settings. The dual locking mechanism on the Apple® mobile device case makes the unit anti-theft for keeping the expensive tablet safe. 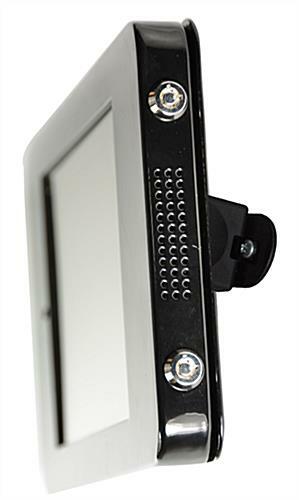 8.3" x 14.5" x 4.8"
6.4" x 10.0" x 1.0"